The greatest composer of Reformation England, a period that saw great changes in the style and function of English church music. 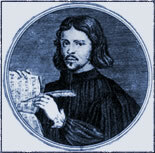 During the shifting religious currents of the time, Tallis was able to compose sacred music to suit whatever the changing ecclesiastical circumstances demanded. As a result, his output is extremely varied - from the most florid votive antiphon to the simplest note-against-note hymn settings. Though he played a pivotal role in the development of Anglican church music, his finest music is to be found in his Latin settings.